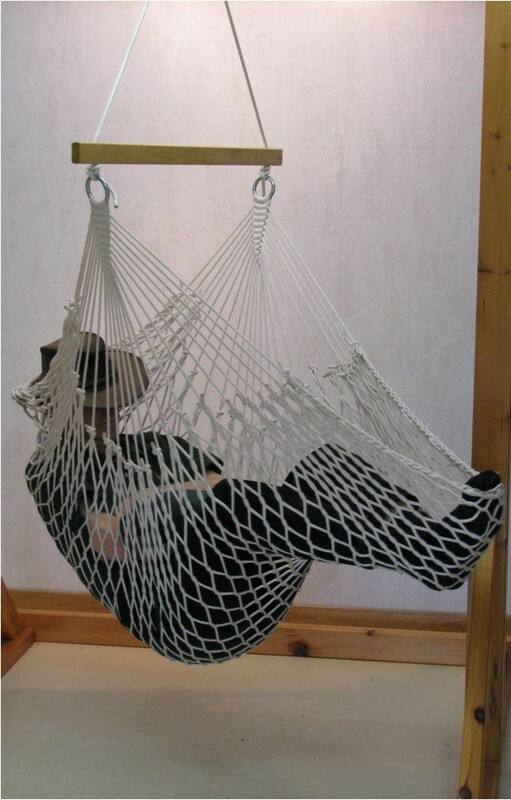 Since the versatile hammock lounger is suspended from a single point, it can easily be moved from one spot to the next. It is built with ergodynamics in mind: comfortably wide, it supports you from head to toe in the optimal lounging position. (official load limit: 225 lbs. or 1 adult). Please use the options below to choose your hammock lounger's colour. An ideal set of "angles of repose" in this hammock lounger lets you lie back, stretch out and distribute your weight for utmost comfort, while still allowing you to simply use the lounger as a comfortable hanging chair. Includes one Heavy Duty S-hook to hang. Easily dismantle Lounger to clean. Made with ring spun braided polyester, the rope has the softness and luxurious feel that cotton rope evokes and aspires to yet seldom attains. 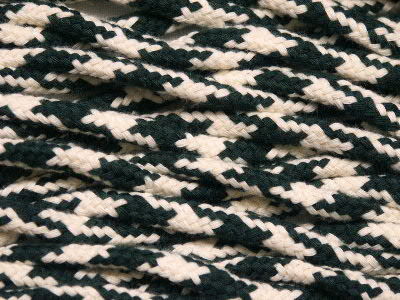 The cord has the added advantage that it is much stronger, longer-lasting and more durable than cotton.